The cooler weather and abating run-off have prompted the LADWP to close the flood gates a little. Flows have leveled off at 300cfs. making for much better water conditions on the drift boat runs. 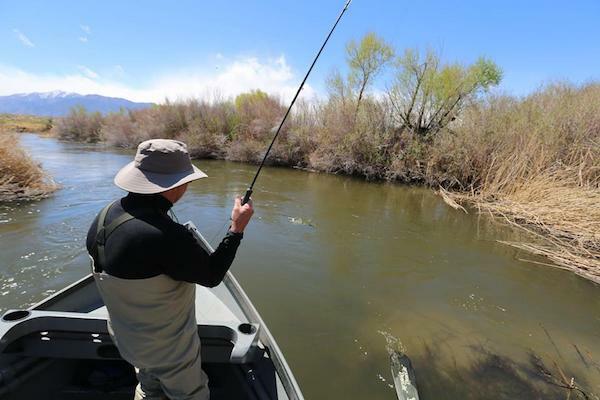 Wading the wild trout section remains difficult at this level. Still a decent BWO hatch coming off with a few stoneflies showing. 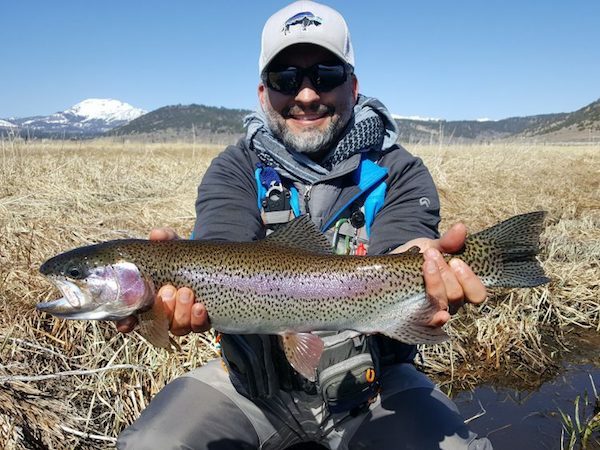 Streamers like Spruce-A-Bu’s, Loebegrs, and Crystal Leeches used with a heavy sinking tip line are the right call under these conditions. Heavily weighted nymph rigs with standard; or parallel Assassins, flashback pheasant tails, and parallel punk perch can get you grabs below an Under-Cator.